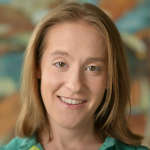 Alison Alden, Ph.D., is a licensed clinical psychology at the Anxiety Treatment Center of Greater Chicago. She specializes in cognitive behavioral therapy for both children and adults, and enjoys working with patients with all anxiety, obsessive-compulsive spectrum, and mood disorders. She regularly meets with patients outside of the office to help them deal with anxiety where it occurs and gain confidence in real-life situations. As part of a treatment team, she also offers short-term individual intensive treatment for severe cases, meeting with patients up to 6 days a week. Dr. Alden earned her Ph.D. from Northwestern University in Evanston, IL, where she focused on researching and treating anxiety. She also completed a post-doctoral fellowship at Northwestern Memorial Hospital. She has extensive training and experience in cognitive behavioral therapy for anxiety, OCD, and mood disorders, and integrates mindfulness and dialectical behavior therapy (DBT) into her practice. Dr. Alden has published several research articles and book chapters on anxiety, depression, and emotion regulation, and has presented talks and posters to state and national professional organizations. She has also taught in Northwestern University's School of Continuing Studies. Dr. Alden is a member of the Anxiety and Depression Association of American (ADAA), and was the recipient of the highly competitive ADAA Young Leadership award in 2014. Request More Articles From Alison Alden, Ph.D.
Did you find these articles helpful? Click to request more articles from Alison.